We are proud to announce the release of the The Hundreds x X-LARGE collection, the third collaboration between the two brands’ history. 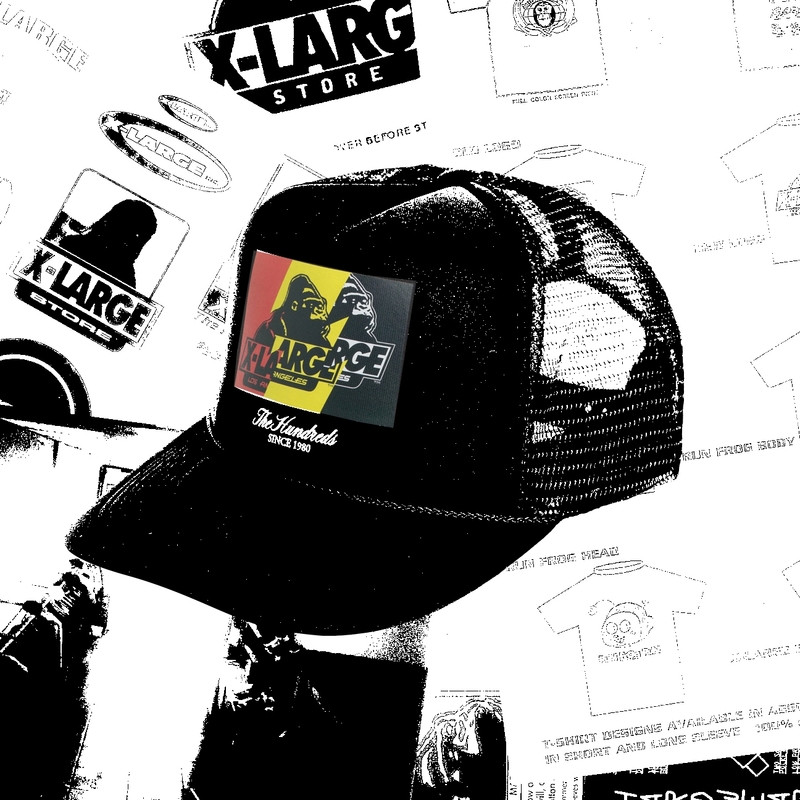 X-LARGE is considered one of the first established streetwear brands in the world. When founders Eli Bonerz and Adam Silverman first opened the brand’s Los Feliz storefront in 1991, no one yet understood the immense global impact the brand would have on youth culture. “We were not professionals in fashion per se, but we did have new ideas, and new ideas are sometimes all you need to change things,” Eli Bonerz stated. 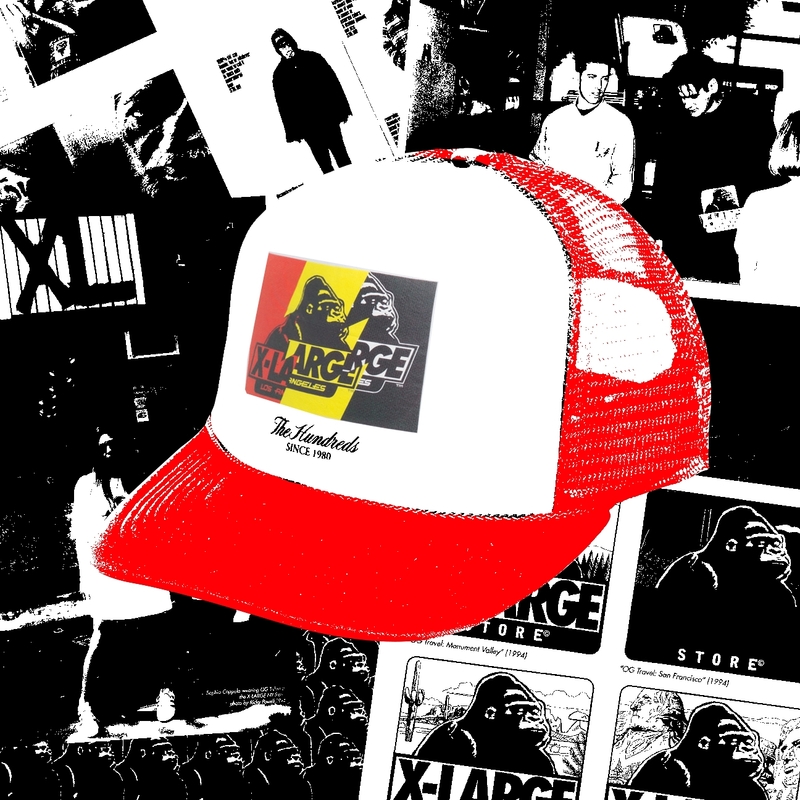 “...Humor, wit, and sarcasm were always a part of the X-LARGE design ideology.” The store, and the label soon after, occupied a unique and unprecedented style—a crossover blend of workwear and Los Angeles street culture, music, skateboarding, and graffiti. The brand grew into a worldwide phenomenon, paving the way for future streetwear labels to emerge and celebrate thoughtful designs. 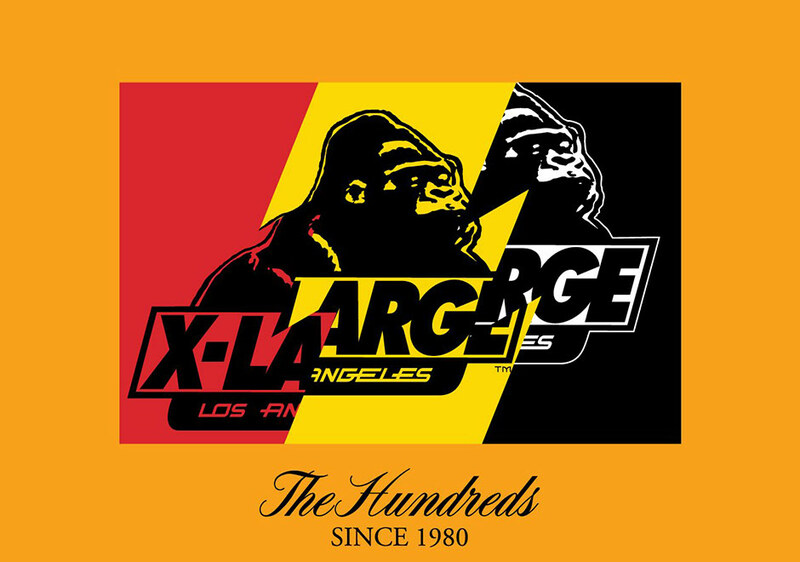 This included The Hundreds’ own co-founder Bobby Hundreds, who cites X-LARGE as one of the first inspirations behind his brand. 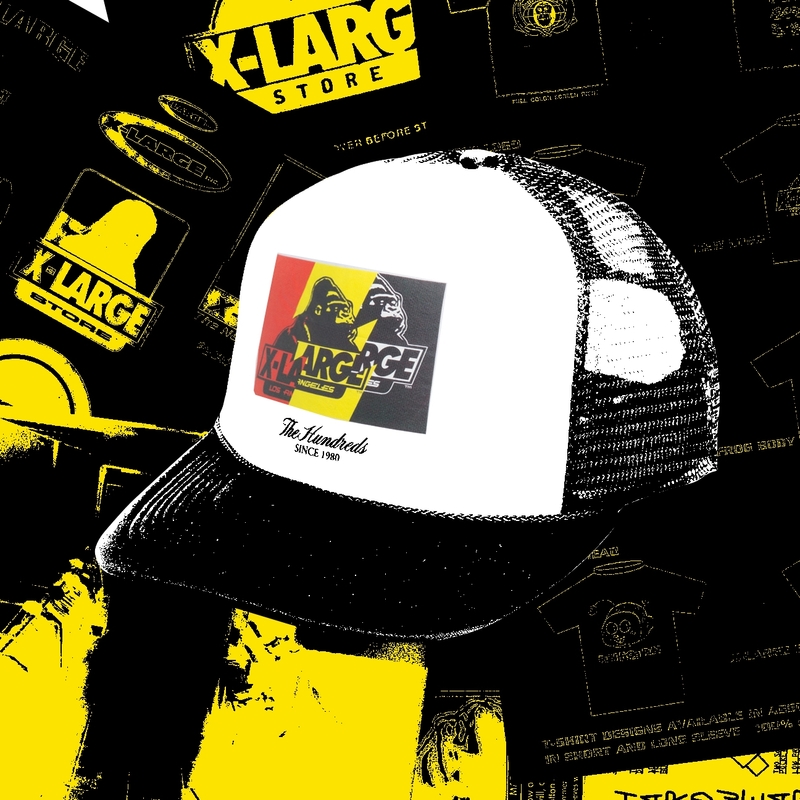 Now, both The Hundreds and XLARGE have partnered up to honor the spirit of camaraderie within the streetwear world. 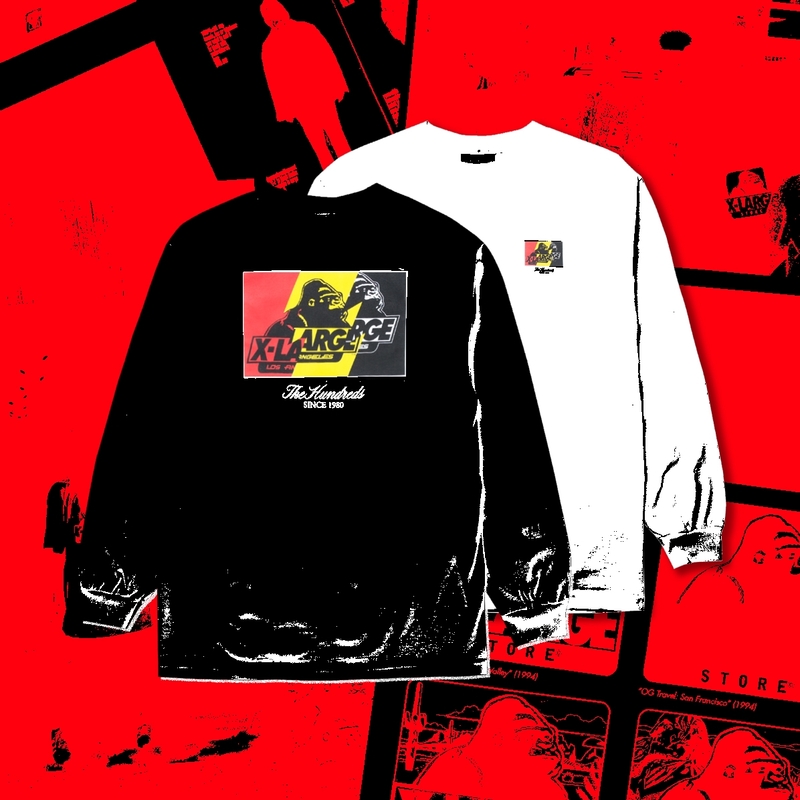 The Hundreds X X-LARGE collection pays tribute to both brands’ storied histories with a graphic mash up of The Hundreds’ Wildfire “Flag” logo and X-LARGE’s iconic gorilla mascot. 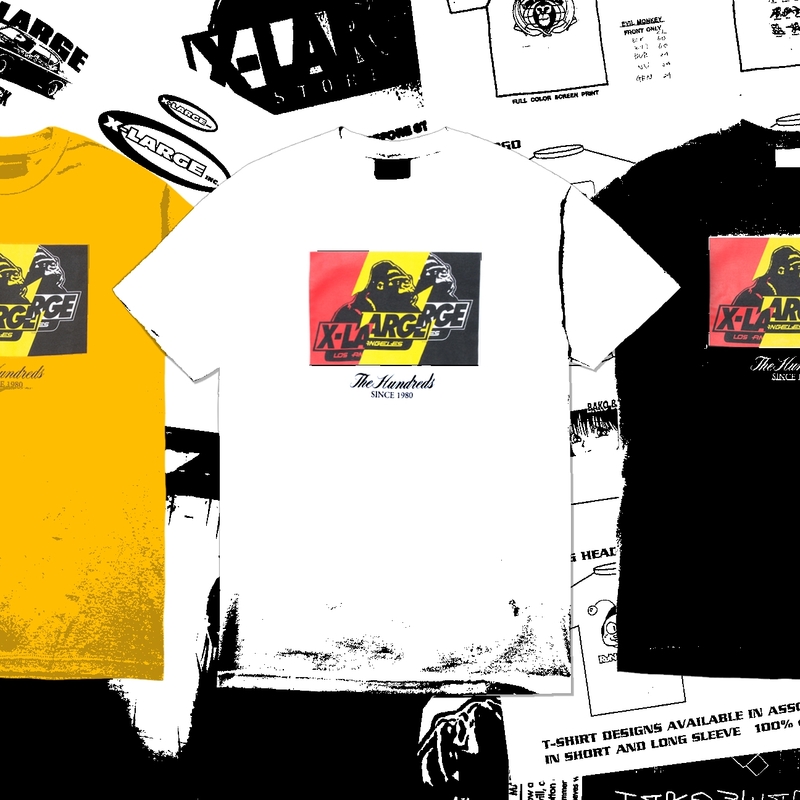 “The OG (Original Gorilla) was California’s pre-millenial box logo. You had to have one. The bright orange tees, the trucker caps, and the clever graphic T-shirts captured the spirit of Los Angeles in a style that resonated internationally,” explains Bobby Hundreds. The collaboration includes a collection of graphic T-shirts,long-sleeve graphic T-shirts and a ‘90s-inspired high crown mesh trucker hat. 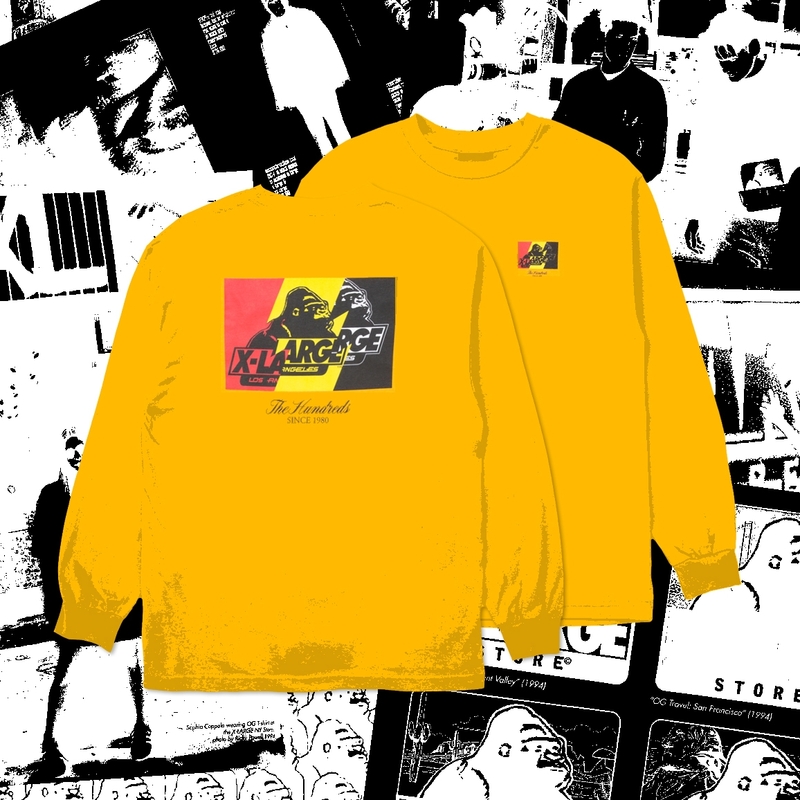 This limited piece of streetwear is available in store at Main Source on Friday 1'st September 2017 and online soon after!